What’s going on at the construction site? 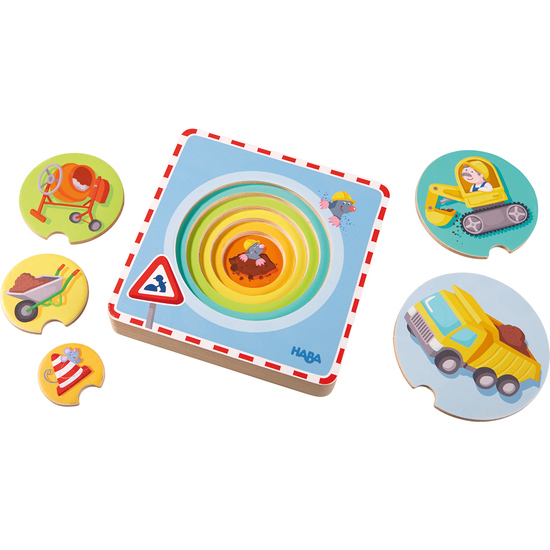 With our wooden puzzles, your child will discover these fascinating activities while learning to differentiate sizes and colors. The puzzle pieces are fitted in the puzzle board notches according to size. Contents: 1 puzzle board, 5 puzzle disks.